Did you know there are numerous wine makers, brewers and distillers in the Lake George region? From a year-round wine tasting room located right on Canada Street to taprooms tucked away in the coutryside, there are a wide variety of places where you can pick up a bottle or case of your favorite red or white wine, spirits or ales. Not sure what kind you like? Enjoy tastings in and around Lake George and find out! 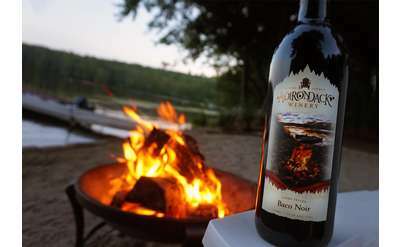 The premier winery of the Adirondacks! Visit us in the heart of Lake George for great wines & memorable times! Sample hand-crafted, award-winning wines & keep your souvenir glass. Open year-round with special winery events held throughout the year. Sit back, relax and experience handcrafted wine just 4 miles from downtown Saratoga! Live Music and Wood Fired Pizza every weekend. We are the only place to try Saratoga's best Wine, Beer & Spirits! 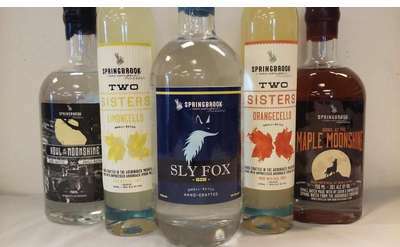 Nestled within the foothills of the Adirondack Mountains, Springbrook Hollow Farm Distillery's mission is to produce handmade, high-quality spirits using local New York State grains and fruits in their all-natural and innovative process. Located right in the heart of Bolton Landing, NY, Bolton Landing Brewing Company is a brewpub that offers a fantastic selection of craft beers and some tasty pub grub. Enjoy a drink on their outdoor patio, hang out at the bar, or relax at a table. 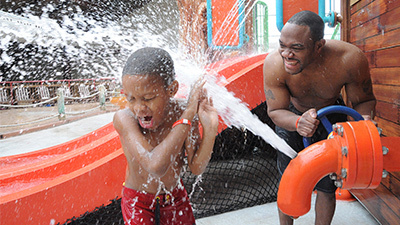 The whole family can escape winter's chill and splash around like it's summer in the indoor water park at Six Flags Great Escape Lodge! The whole family will have a blast riding indoor go karts and bumper cars, playing laser tag, winning prizes in the arcade, and more! 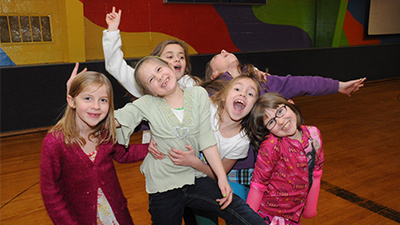 The Fun Spot is a haven for indoor winter fun! 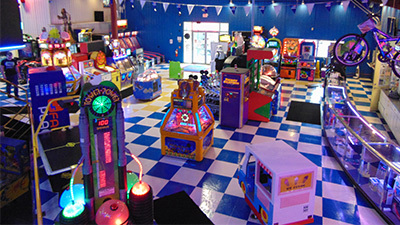 Your kids will love the ninja challenge course, laser tag, roller skating rink, and other attractions. For great wines and memorable times, stop by Adirondack Winery's locations in Lake George and Bolton Landing for a tasting session! 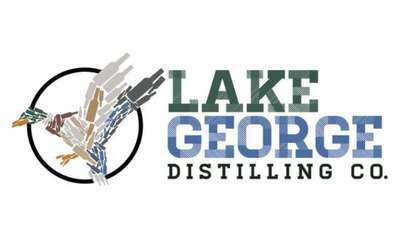 Lake George Distilling Company is a small New York State farm distillery with handcrafted spirits made from 100% New York State grains. They take the time to select the best local ingredients from the region to create their products in small batches. 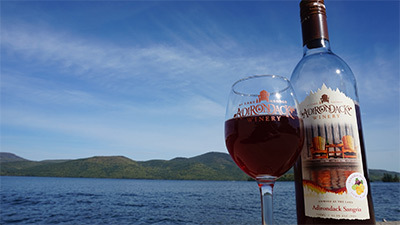 For some of the best locally-handcrafted and award-winning wines in the entire Lake George region, visit Adirondack Winery at their second Tasting Room in Bolton Landing, NY. Experience a Wine Tasting Session guided by a knowledgeable wine associate. The Lake George Brew House in the Town of Queensbury produces handcrafted beers, cold brew coffee, and craft soda for brewing companies in New York State and beyond. Their facility features a taproom with a draft selection of over 15 different beers. R.S. Taylor & Sons Brewery, located at Misty Bleu Farm in Washington County, offers a variety of English-style ales brewed on an American-made brewing system. Visit the 50-acre farm and try any of the seven hand-crafted ales on tap. Yankee Distillers is a New York State farm distillery that includes a tasting room and retail outlet, in addition to its distilling facility. The distillery specializes in rye whiskey, bourbon, and vodka. Clifton Park's Shmaltz Brewing Company packages 12 and 22 oz. bottles and kegs of their diverse core and seasonal favorites, and hosts fans and beer tourists in their tasting room for tours, barrel-aged previews, and special releases. The Real McCoy Beer Co. The Real McCoy Beer Co., one of the Capital Region's newest microbreweries, features a brewery and tasting room in Delmar's Four Corners neighborhood. Slyboro Ciderhouse takes Hicks' orchard-grown apples and transforms them into a variety of true ciders. Visit the farm for yourself, or look for Slyboro ciders at merchants throughout New York State. Stop by Saratoga's newest hangout, Racing City Brewing Company with Oliva Winery, for beer, wine, cocktails, food, and a great time. They are located less than 2 miles from Broadway and the Race Track! Visit Paradox Brewery's tasting room in Schroon Lake to enjoy beers made from pure Adirondack water and the best malts and hops available. Using our rich history in conjunction with current innovations, we produce complex yet appealing wines. Our Tasting Room and Gift Shop are great for tastings or private gatherings. Stunning views & walking paths make this the perfect NY destination. Enjoy unique, award-winning wines at Amorici Vineyard, a farm winery just outside of Saratoga Springs. All of Amorici's wines are vegan/vegetarian-friendly and never have color- or flavor-enhancers. 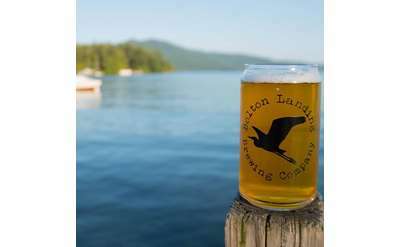 Lake George's Local Brewery; Year-round, find award winning craft-brewed beer at Adirondack Brewery in Lake George Village. More than two dozen beers, exciting events, From mouthwatering burgers and healthy salads to char-grilled steaks & desserts. Artisanal Brew Works was founded by a pair of Saratoga Springs High School teachers with a passion for crafting fresh, artisanal ales. Stop by their location in Saratoga Springs and try their offerings for yourself. Visit Mean Max Brew Works in Downtown Glens Falls where you'll find as many as a dozen brews on tap at any given time. Bring your own food from your favorite local restaurant to enjoy in the tasting room. Rare Form's taproom features four main beers, along with a rotating, seasonal and experimental selection. The five barrel brewery also highlights offerings from home brewers. Saratoga Courage Distillery puts an emphasis on using local ingredients and resources in every aspect of the business. The distillery's Pick Six Vodka was named Vodka of the Year in 2014. Victory View Vineyard has mastered the art of growing cold climate grapes, and produces award-winning wines from this exceptional fruit. Sample local history-infused wines at the tasting room in Washington County. Located in South Glens Falls, Common Roots Brewing Company has a taproom and retail shop, and also offers brewery tours by appointment. Check out their website to see what's on tap at any given time. Wolf Hollow Brewing Company is a community-focused microbrewery that seeks to provide locals, friends, and neighbors with a high-quality beer to call their own. Looking for special benefits? Become a member of the "Wolf Pack." Battle Hill Brewing Co., located just north of the intersection of Routes 149 and 4 in Fort Ann, uses fresh, local ingredients to create its beers. Visit the taproom to enjoy a regular selection, as well as seasonal brews. Visit the tasting room at Northern Cross Vineyard to sample reds and whites that have been made with (and named after) cold-hardy grapes grown on-site. In addition to its taproom in Troy, NY, Brown's Brewing Co. also has a taproom at its brewing facility in Hoosick Falls. Nicknamed "The Walloomsac Brewery", the Hoosick Falls taproom offers an extensive list of beers on tap. Argyle Brewing Co. is a small "Farm to Glass" craft brewery located at 1 Main Street in Greenwich, and is committed to using New York ingredients to create tasty beers.